Save the date! 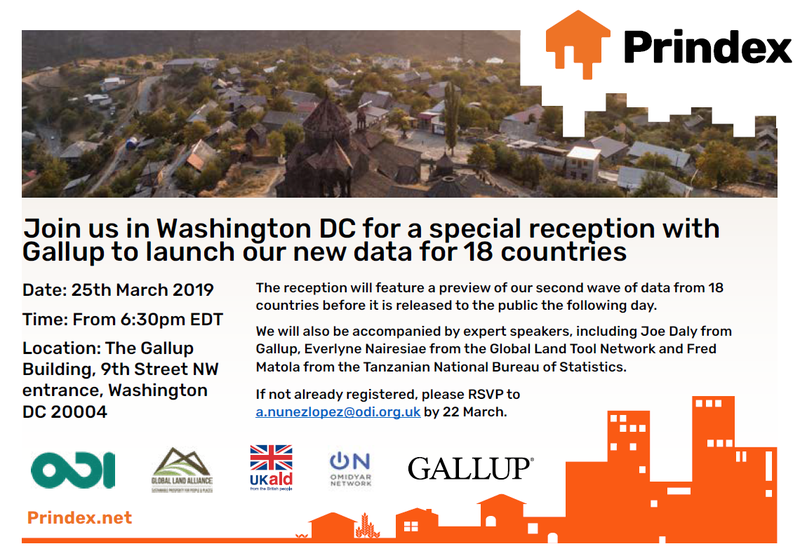 Second wave data launch, 25 March, Washington D.C.
Join us in Washington DC for a special reception, co-hosted with Gallup to launch our new data for 18 countries. The reception will feature a preview of our second wave of data from 18 countries before it is released to the public the following day. We will be accompanied by expert speakers, including Joe Daly from Gallup, Everlyne Nairesiae from the Global Land Tool Network and Fred Matola from the Tanzanian National Bureau of Statistics.